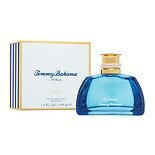 Shop Tommy Bahama Set Sail St Barts Eau de Cologne Spray (3.4 oz. )3.4 oz. $5899$58 and 99 cents$17.35 / oz. A cologne sample set can make an excellent gift. Whether you are shopping for the perfect cologne to give to a teenager, male or female, you should select the scents that are created specifically for the recipient's skin type. But it can be difficult at times to find out which fragrances will be preferred they prefer. You should choose a cologne sample set that includes sample sizes of different aromas in a single package. No matter what their tastes are, with a sample set, they are likely to find the perfect cologne or perfume to match their individual tastes. When buying a cologne set for teenagers, consider the one that includes scented soaps. 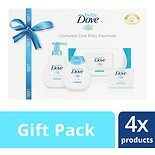 A cologne set that comes packaged with facial cleansers, a loofah sponge and fragrant soaps makes a perfect gift for the teenage girl. For teenage boys, you can select a cologne sample set with masculine scents. Selecting a cologne set for an adult can be a tricky task. The cologne set for men must have masculine and woodsy scents. A three-piece cologne sample set that includes a cologne, skin soother and aftershave lotion is a perfect gift for men. For women, choose a cologne set that includes sensual aromas. A cologne set for women should include floral perfumes and fragrant soaps. A perfume gift set that is refreshing and rejuvenating makes an ideal gift for women.